Who might pull the trigger? And when? A conversation with ALI FERDOWSI, Prof. of Political Science, Notre Dame de Namur University and Native of Iran. During recent confirmation hearings for Sec’y of Defense Chuck Hagel, the Senate Committee spent more time grilling Hagel about Iran and his possible support for an Israeli attack on that country than just about any other issue. The Senate is now considering a bill telling the President to do just that: provide military support to an Israeli attack. At the same time, the Administration continues to insist that “all options are on the table”, including a U.S. attack. While in Iran, elections to replace Mahmoud Ahmadinejad will take place in June and the sanctions are hitting ordinary people … hard. In other words, this is a very critical period. Ali Ferdowsi is a native of Iran who was a dissident during the reign of the Shah. He continues to visit Iran every summer to stay up-to-date with the political pulse of the country. 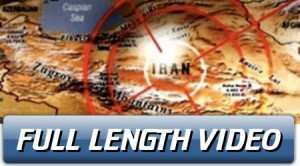 This entry was posted in Videos and tagged Iran by PPJC Admin2. Bookmark the permalink.